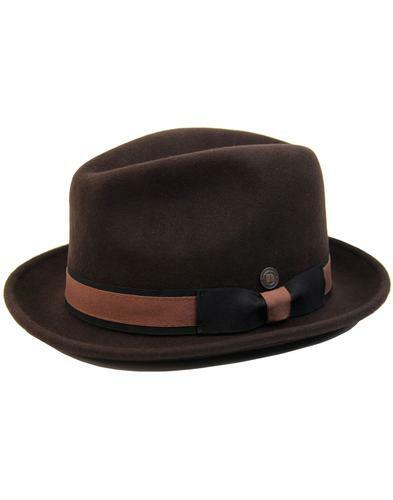 Dasmarca 'Robin' Mod wool felt trilby hat in coffee brown. 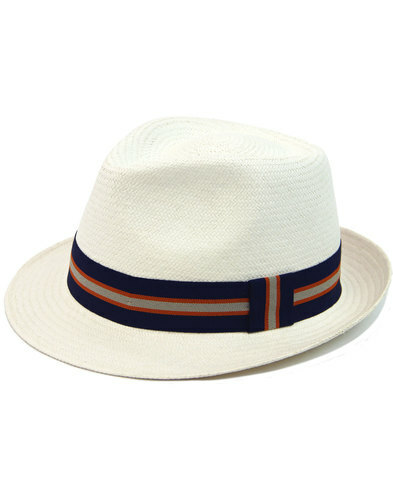 Featuring a stylish Retro grosgrain band in beige and navy. The Dasmarca signature metallic stud sits just above the band. Classic upturned brim, Retro pinched side and teardrop indent to crown. 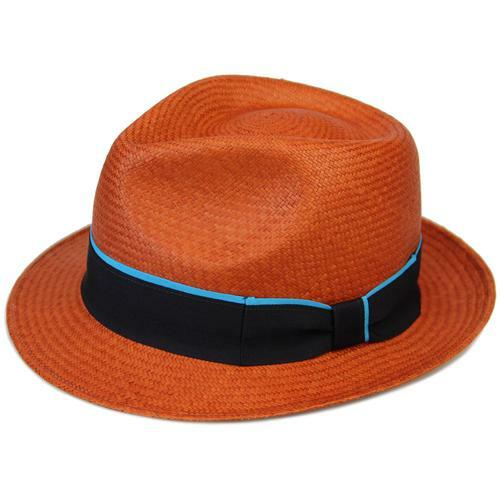 Add a hint of Rat pack Sinatra styling to your ensemble with a Dasmarca 'Robin' 60s Mod Trilby Hat. - Dasmarca 'Robin' men's 60s mod wool felt trilby hat in coffee. - Grosgrain band in beige and navy. - Metallic Dasmarca stud to side. - Teardrop indent to crown. 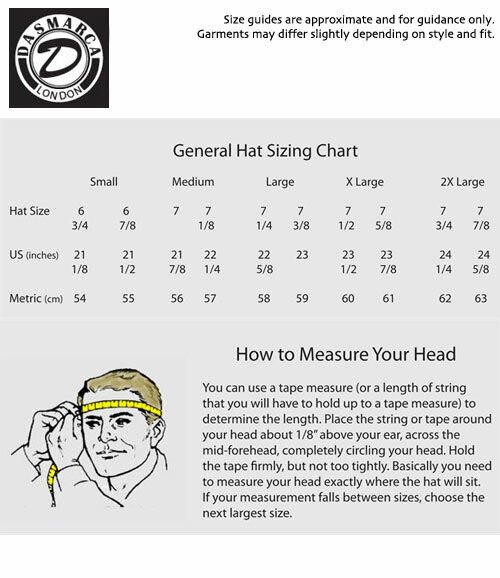 - SKU: SD00135 Robin Trilby Hat.